Sometimes users need to convert a Microsoft Excel table to SQL but do not have a dedicated tool to do the conversion, or the price of this tool is too high. Advanced XLS Converter is a remarkably accurate XLS converter that produces SQL outputs instantly and without any learning curve. 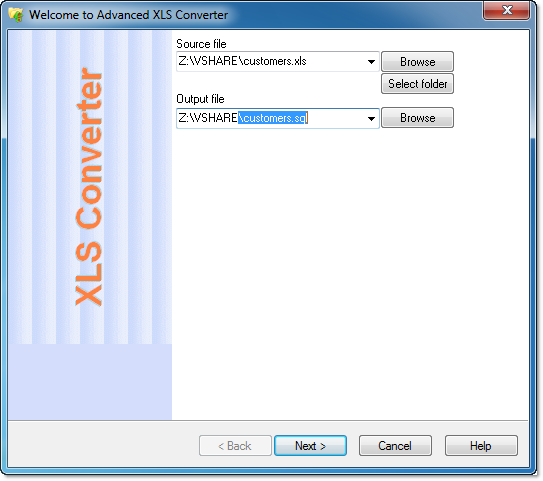 Advanced XLS Converter supports batch conversion, handles extremely large databases and allows you to customize output settings to your requirements. 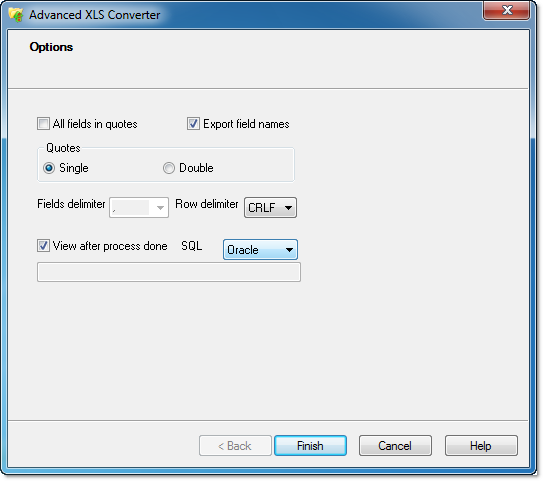 Advanced XLS Converter allows you convert a single excel file or folder with excel files to sql format from GUI or command line. 1. 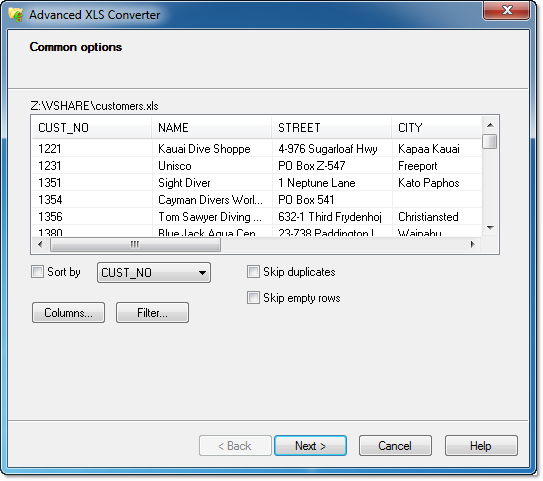 Select the xls (excel) file or select folder with xls files for batch conversion. 2. Select the output sql file.